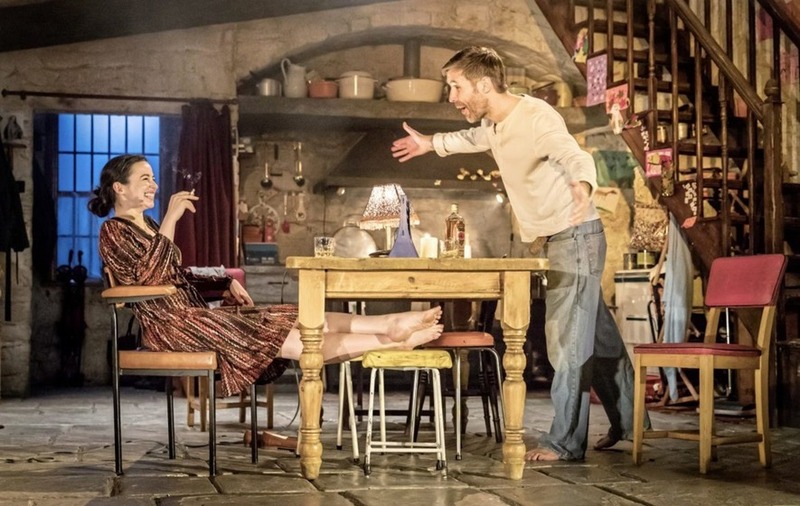 IN THE wake of almost unanimous critical acclaim, playwright Jez Butterworth's Troubles-themed stage hit The Ferryman is set to continue its run at London's Gielgud Theatre until January 6. Depicting a gathering on the Carney farm in rural Co Armagh during the politically charged period of the 1981 hunger strike, the Sam Mendes production premiered at the Royal Court theatre earlier this year, where it became the fastest-selling show in its history. However, the original company, which features Paddy Considine (Dead Man's Shoes, Tyrannosaur) making his stage debut in the lead role of Quinn Carney alongside Belfast-born actress Laura Donnelly (The Fall) as Caitlin Carney, will be giving their final performance on Saturday October 7. 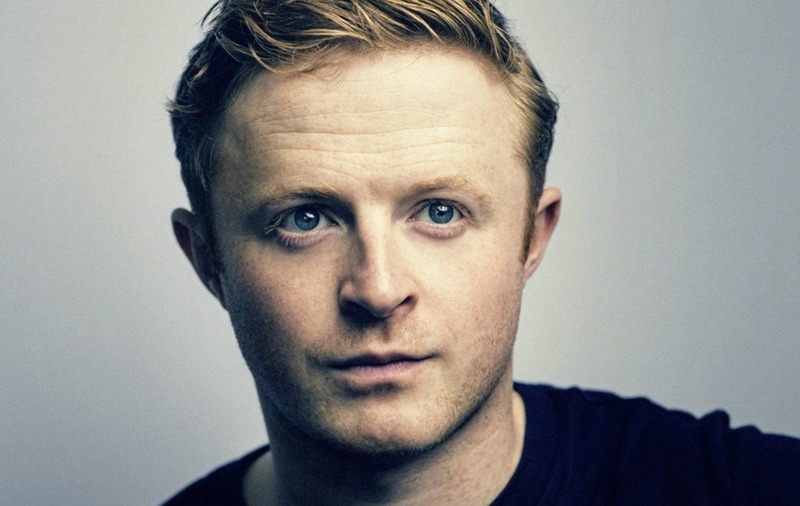 While new cast members will begin treading the boards in the eight performances per week play from Monday, Belfast-born actor Conor MacNeill (29) will be one of the ensemble who is sticking with The Ferryman as it enters the next stage of its rave run. Conor, who first caught the acting bug with DubbelJoint Theatre Company in Belfast and got his big break appearing alongside Daniel Radcliffe in the 2013 revival of Martin McDonagh's hit The Cripple of Inishmaan in London and on Broadway, says working with a talented actor like Paddy Considine has been a "privilege" and that he was impressed with how well the film and TV veteran made the transition to theatre. "Paddy's been absolutely smashing it – he's such an incredible actor and so truthful," Conor enthuses. "And he's a brilliant guy too." As an actor who has done plenty of both stage and screen work himself – recent TV includes being a series regular in Paul Abbott's cop comedy drama No Offence and a key role in the third series of BBC hit The Fall opposite Jamie Dornan, with whom he also appeared in the excellent Netflix war movie The Seige at Jadotville – Conor is certainly well placed to judge. And, while he'll be sad to see Paddy, Laura and various other Ferryman players moving on next week, Conor is also excited to begin working with some familiar faces again. "We've a few lovely actors joining us," he tells me of the imminent reshuffle. "All of them are brilliant and I have a relationship with a good few of them already, which is good: Sarah Greene who I've worked with before [in The Cripple of Innishmaan] is coming onboard, and Mark Lambert and William Houston who I've also worked with as well." The Belfast man plays Diarmaid Corcoran in The Ferryman, one of a trio of brothers who come calling at the Carney farm. "The Corcoran brothers are the cousins from Derry who come down to the farm during harvest time," explains Conor. "I think the three boys are sort of a reflection of what was going on in the city at the time during the 80s, when the countryside wasn't maybe getting it just as bad as the boys in Belfast or Derry. "Diarmaid is a kid who wants to enjoy life and have a good time but sadly he's born in a time and place where there's absolute chaos. 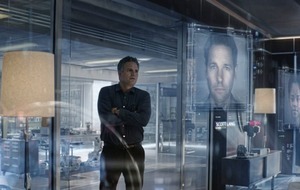 He's trying hard to see the light through it all, I suppose." As for why The Ferryman has been so successful, Conor – who was Bafta-nominated for his script for short film The Party, also set during the Troubles – believes it all stems from the strength of Jez Butterworth's writing. Indeed, apparently the script was so good that he and others among the cast signed on for the production before it was actually finished. "The ending hadn't been written," reveals Conor, "but we just knew it was incredible – it sung off the page. Then, once the cast was put together, there was a feeling of something special in the air. "I mean look, it's Sam Mendes and Jez Butterworth, so you sort of assume it's going to be all right – but I don't think anyone expected the level of success it has enjoyed. "You can never tell how an audience is going to react to something, and they've really taken to The Ferryman, which is incredible." Having already enjoyed Bafta recognition for his Andrea Harkin-directed short The Party, which dealt with a sectarian atrocity at a typical teenage gathering in 1972, Conor also has another screenplay informed by the Troubles. His feature script The Laughter of Our Children won the 2014 NI Screen New Talent Focus scheme, and the writer and actor hopes to bring it to the big screen soon. "I think you have to write what you know," he explains of the Troubles-related themes in his work. "Home has such an impact on all of us regardless of how much involvement you've experienced. It's painted us all and we're all affected by it. "I think exploring that is really interesting. It's such a rich basis for so many stories. Prior to this generation, I don't think the work that has been done has explored it in the way that we can. He continues: "With The Party, the characters were just kids. If you look back at the 1970s and a lot of the lost lives, the ages were really very young regardless of what their involvement was. "The 70s were f***ing cool – music was cool, fashion was huge and I wanted to explore the fact that these kids were human beings caught up in madness. "The feature is set present day, but its sort of about young people carrying the weight of what's gone on before. They didn't have any involvement in it, yet they still have some sort of responsibility." While there's been no word yet on a possible tour for The Ferryman beyond its current London run, Conor would love to see it coming to the stage in Ireland at some point. "It would definitely be interesting to see how it goes down at home," he tells me. :: The Ferryman is at the Gielgud Theatre until January 6. See Theferrymanplay.com for full details.